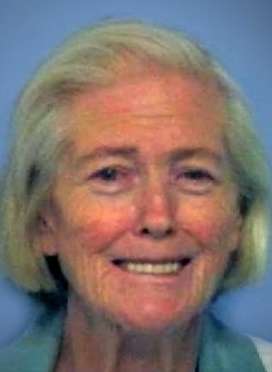 American serial killer Janie Lou Gibbs was born on December 25, 1932, in Georgia and died at the age of 77 on February 7, 2010, in Douglasville, GA. She was arrested in 1967 and was sentenced to 5 life sentences term for murdering her three sons, one grandson, and her husband. She poisoned her family with rat poison from 1966 to 1967 so that she can get their life insurance money. Janie Lou Gibbs was a devoted wife, mother, and grandmother who enjoyed volunteering her time at the church. Her husband Marvin Gibbs suddenly died in 1965 after eating a home-cooked meal prepared by his wife, Janie Lou. Doctors said his death resulted from an undiagnosed liver disease. The church showered Janie Lou and her three children with support, and she decided to give/donate share a part of Marvin"s life insurance money with the church. Marvin Gibbs Jr. died a year later at the age of 13 after he collapsed with severe cramps and his death was diagnosed as an undiagnosed liver disease. Janie Lou once again gave a portion of Marvin Jr."s life insurance money to the church after overwhelming support from them. Lester Gibbs was 16-year-old when he started to complain of dizziness, headaches, and severe cramping a few months after Marvin Jr. died. Lester died before arriving at the hospital, and his death was diagnosed as hepatitis. Janie Lou gave part of Lester"s life insurance money to the church who once again supported her in her grieving time. Janie Lou"s eldest son, Roger Gibbs, welcomed a baby boy named Raymond Gibbs in the world which made or appeared to make Janie Lou happy. Roger and his son Raymond who was healthy died within a month of Raymond being born, but an investigation was requested by the attending physician. Janie Lou was arrested after Roger, and Raymond"s test result shows that they were given arsenic poisoning. Janie Lou was found guilty on May 9, 1976, of poisoning her family and was sentenced to five live terms in prison. Janie Lou had Parkinson"s disease (advanced stages) at age 66 and was released in 1999 from prison. Janie Lou Gibbs serial killer is a male serial killer.